This installation in Minneapolis plays the perfect partner to the abstract wall behind. Find out what Jensen solution will work perfectly for you by trying our new Mailbox Configurator. "Jensen Delivers" an extensive line up of STD-4C, STD-4B+ and CBUs mailboxes and customization options, standard paint colors and custom powder-coating selections. 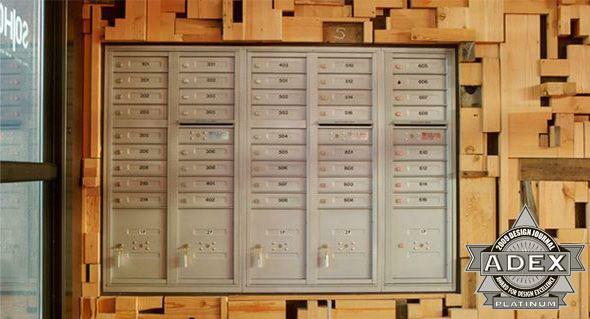 Tough mailboxes that are tough on price!